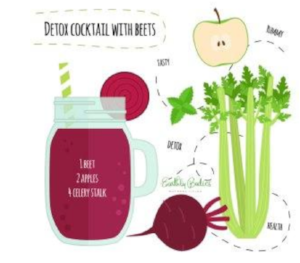 This is just the perfect juice recipe to tie together 12 Reasons Why Drug Companies Won’t Tell You About Celery Juice… and High 5 for BEETS!. Enjoy reading or revisiting these two posts as a reminder of why #NatureAlwaysWins. Then enjoy this recipe and let me know in the COMMENTs below how the 30 Day Celery Juice Challenge is continuing to benefit you or if you’re going to start now. Also be sure to SHARE this recipe post with all of your social media and email list peeps. I would love for you to share your juicing pics with me on Instagram and Facebook with #EarthlyBodies and #EBNL. Cheers to making our Earthly Bodies a safe place to LIVE! Visit Shop EBNL for all your healthy natural living goals.